A culture of reflection, conversation and commitment to continuous improvement. 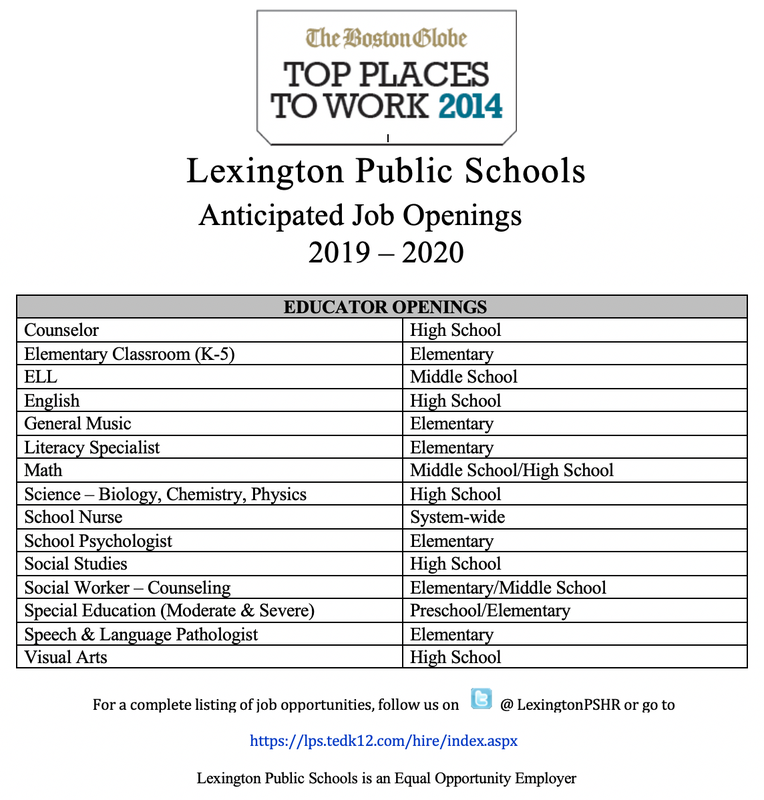 Lexington has been consistently expanding efforts to recruit and retain a diverse workforce who is more reflective of our student body. Q: What’s Lexington like to work and/or live in? Lexington is a respectful, professional, and inclusive community. New Teachers are given a mentor and are enrolled in our “Better Beginnings” three tiered level of professional development. The entire school community supports all new staff to ensure their success and development regardless of their level of experience. Q: What general attributes does Lexington seek in teachers? Lexington seeks staff who are well trained, professional, and embrace our core values of inclusivity and respect. Contact any of our staff to investigate what it’s like to work here in Lexington, reach out to Human Resources or see us at any number of recruitment events in the spring.